An African Flower Turned Mandala You Will Love Deeply! If you’ve never crocheted a day in your life and want to start now, here is a great video tutorial , perfect for absolute beginners. Learn the basic first four basic stitches that you’ll need to know in crochet in order to construct an item or follow a pattern. 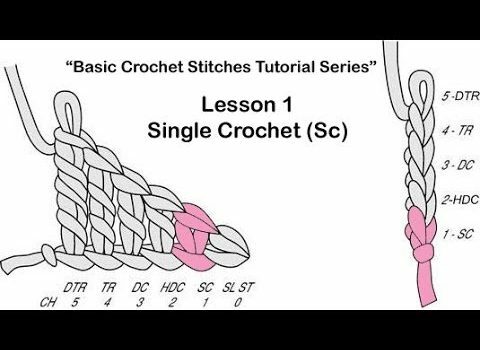 With the two video tutorials below so you can learn how to chain stitch, single crochet, double crochet and slip stitch . Thanks to Leticia for the article inspiration and featured image.